time to get a website! 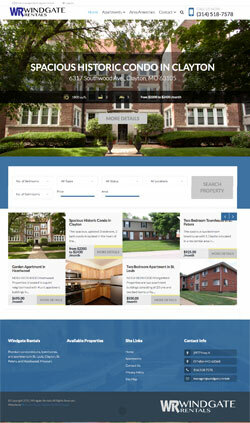 Check out our newest website for Windgate Rentals, a property management company in St. Louis, Missouri. We used a real estate specific WordPress theme for this website which features a customizable property search, and online application. Each property detail page includes a huge photo gallery and interactive map. © Copyright 2014, Blue's ArtHouse Graphics & Web Design; All Rights Reserved.